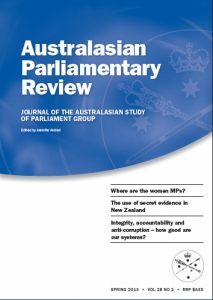 Requests for permission to reproduce material from the Australasian Parliamentary Review should be directed to the Editor. The Australian Parliament and Climate Change: Are the Institutions Inadequate? Is Parliamentary Privilege Incompatible with a Modern View of the Public Interest?